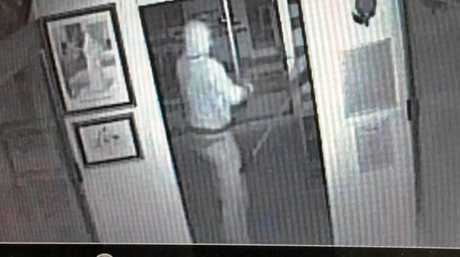 Thief makes midnight attack on Gympie museum: A clumsy thief has been caught on CCTV as he steals several historic guns from a Gympie museum. 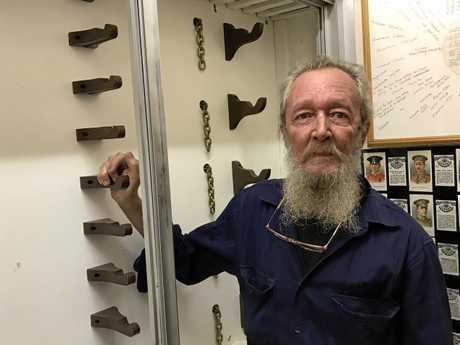 A CALCULATED yet baffling burglary on Gympie's Gold Mining Museum has left museum curators agog at the footage of a brazen offender bashing through property to get to his target. 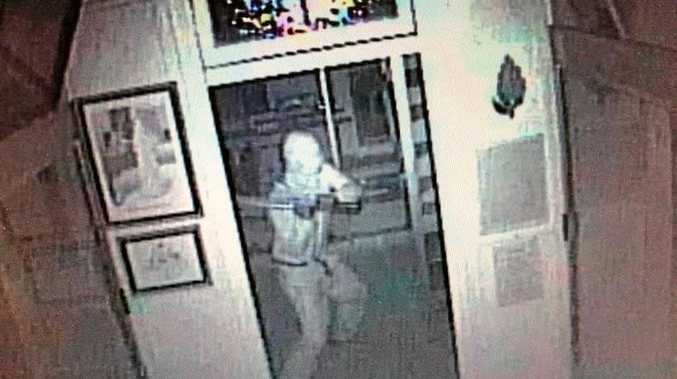 A masked man was captured on the museum's CCTV smashing a glass display cabinet with bolt cutters to get to two military firearms on Tuesday night. The antique weapons - a Mauser rifle and a British Bulldog hand gun - were chained inside a case before they were snatched by the gloved bandit. Evidence showed the man had also broken into the property's shed to nab a mallet that was most likely used to bash through the museum door. The heist has left museum curators wondering why just two out of the dozen antique firearms in the Light Horse display were specifically snatched. Gympie and District Historical Society secretary Ralph Richardson believed the burglar's actions were deliberate. "He obviously knew where they were and what he had to do," Mr Richardson said. "He was targeting exactly those weapons. It's unusual." While he said the mission looked like the work of a professional, it was not without error. The large-statured thief managed to injure himself in the peak of his bolt cutter wielding, the CCTV footage showed. "He stepped back to take another swing at the cabinet and he got the framework of it," Mr Richardson said. "(The bolt cutters) bounced off and hit him on the head." After shaking it off, the offender continued to smash at the case. While the burglary has left museum staff disappointed and concerned, the mess of the break-in was luckily only contained to one building, historical society president Frank Lightfoot said. It did not slow down the week of steady visitors, who had been making the most of the blacksmith displays and model train running in the holidays. The museum had tightened security following two other minor break-ins in the past six months, possibly involving youths. 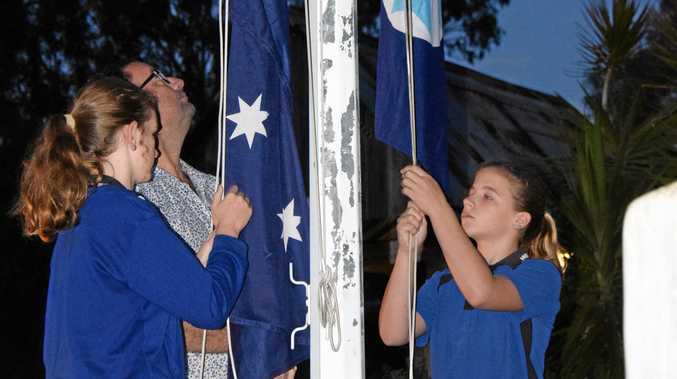 Gympie police's Sergeant Scott Poole said he could not confirm whether ammunition would be accessible for the historical weapons and the police were taking the firearm offence seriously. Mr Richardson was worried the guns could be used unloaded in an armed robbery or to complete someone's antique collection. If you have info about the incident, phone Crime Stoppers on 1800 333 000.